2 Beds 2 Baths 1,330 Sq. ft. 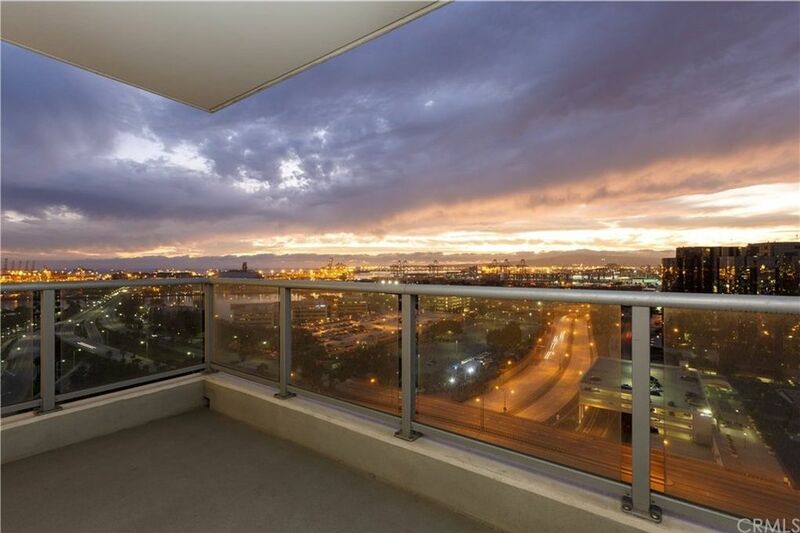 The Pinnacle of Downtown Long Beach living can now be yours!This spacious and very private 19th floor executive corner residence in the ultra exclusive West Ocean Towers, is any entertainer's dream. Bright, open and airy boasting floor to ceiling walls of windows in every room to enjoy some of the best panoramic views in Long Beach that encompass the blue Pacific Ocean, Signal Hill, Palos Verdes, Catalina, Vincent Thomas Bridge, Downtown LA, mountains, amazing sunsets along with a unrivaled evening view of both the harbor and city lights!TWO private balconies offer limitless outdoor living options! This stunning home also only has 1 common wall with only 4 units on this floor total! Flawlessly appointed with upgraded tile flooring in the main living areas, kitchen, hallways and baths, solid granite counters, custom tiled statement bar in kitchen, accent lighting, custom wood cabinetry with European hinges and stainless pulls, all stainless steel gas appliances and separate laundry area in the unit. Additional West Ocean Towers complex amenities include: 24/7 security, concierge, pool, spa, sauna, 2 gyms, business center, wine cellar, guest suite, billiard room, yoga studio, movie screening room, conference room and more.Additionally, the Pike waterfront entertainment complex, Pine Ave., Shoreline Village, Aquarium of the Pacific and Promenade are just out your front door!FHA&VA Approved! HOA dues include: Gas, water, trash, sewer, insurance, maintenance and earthquake insurance!